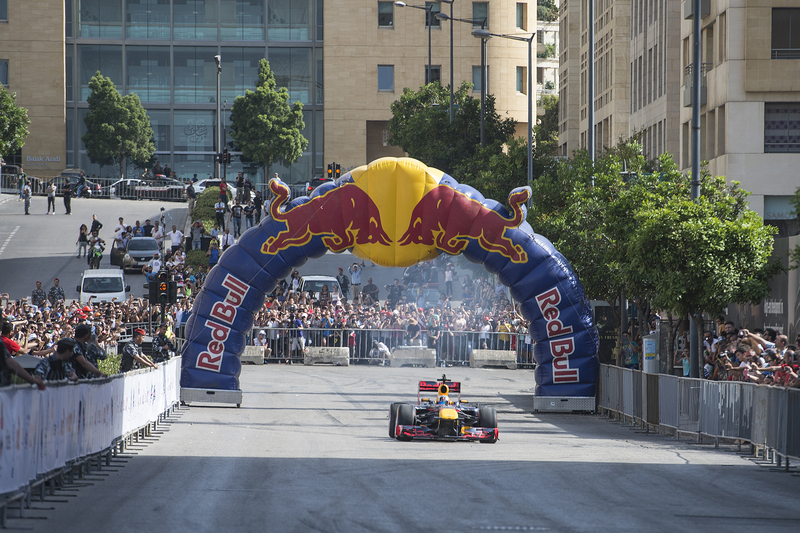 Over 10,000 motorsport fans turned out in full force on Sunday to see the Red Bull F1 Showrun Beirut, where and for the first time ever, an F1 car roamed the streets of the country’s capital. 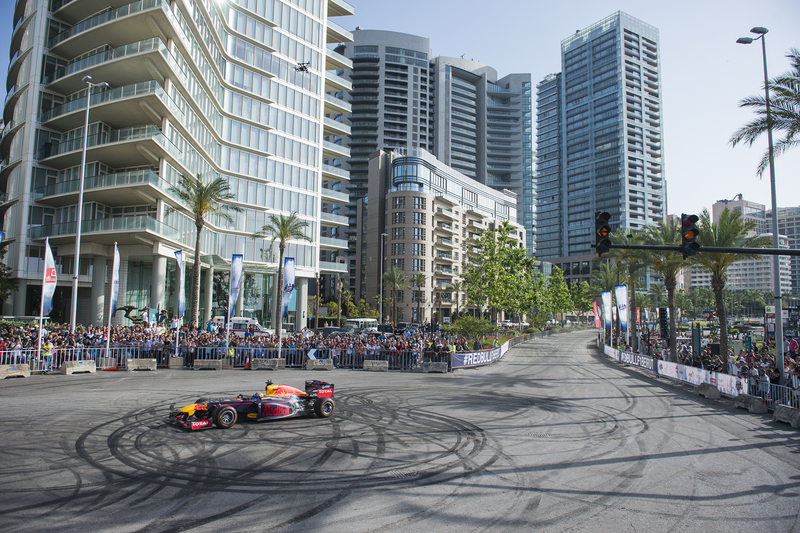 The event, organized in partnership with Beirut Cultural Festivals presided by HE Mrs. Lama Salam, saw F1 car RB7 take to the iconic streets of Beirut for the first time along the beautiful Beirut Waterfront. 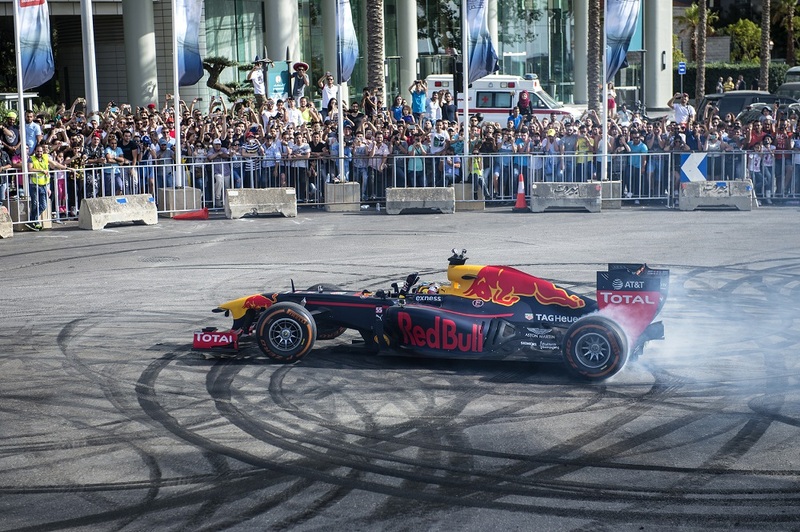 Piloted by renowned driver Carlos Sainz, the F1 car past crowds on the 1km strip weaving past Zaytounay Bay. The special appearance of several public figures such as HE Prime Minister Tammam Salam, HE Former Prime Minister Saad Hariri, superstar Ragheb Alama, and singer Maya Diab, was witness to the calibre and symbolism of today’s event, which was hosted by the one and only Tony Baroud. 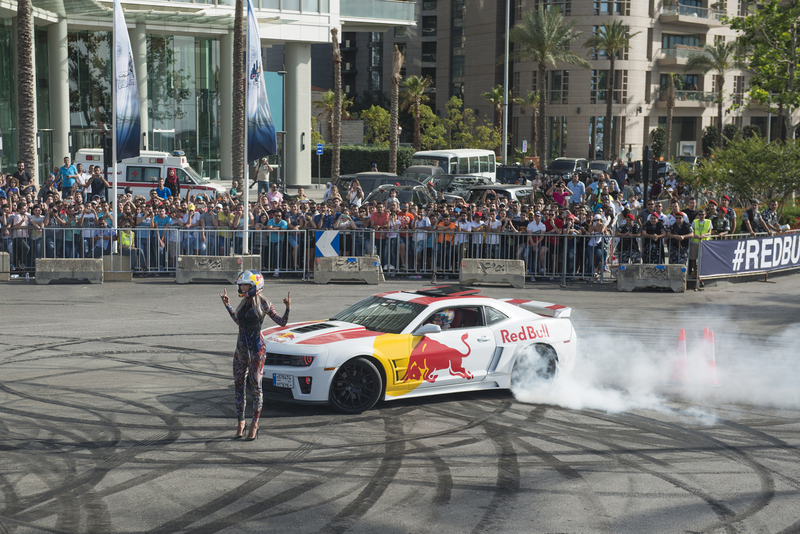 Also part of the event action was drifting and rally champion Abdo Feghali, who swept the spectators off their feet with a thrilling drift show. 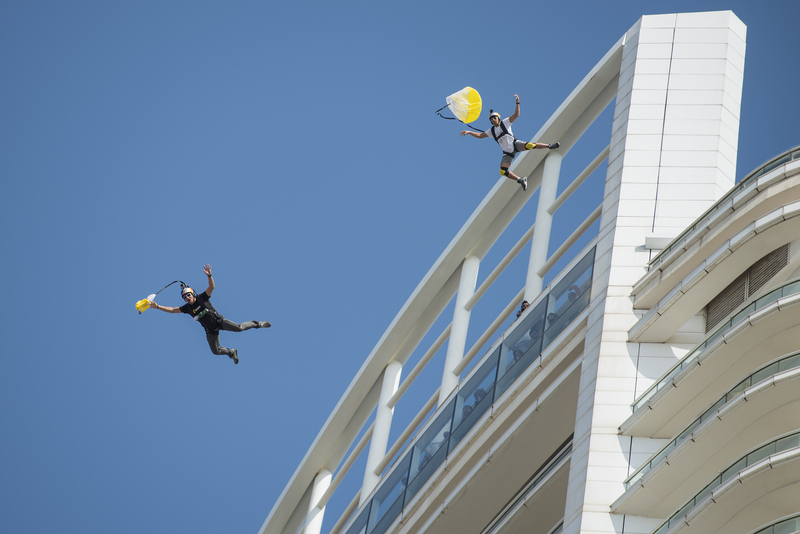 The Soul Flyers ended the show with a breath-taking jump off the Four Seasons hotel, handing the Lebanese flag to Carlos Sainz, who waved it to the spectators, amid extensive cheering and clapping.